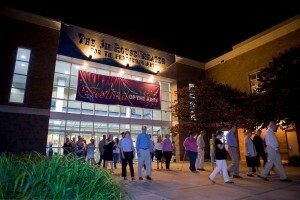 If you enjoy music and long to see wonderful, epic performances, we are lucky to have a great facility not far from Lighthouse – the Jim Rouse Theatre for the Performing Arts. This intimate and comfortable 747-seat theatre and 12,500-square-foot performance space, named for Columbia’s visionary founder, is home to the Columbia Orchestra. And, with many performances in the upcoming season, there are events for everyone. Upcoming concerts this fall include Shostakovich’s Fifth Symphony; The Enigma, including pieces by Bernstein, Sibelius, Copland, and Elgar; New Morning for the World, including pieces by Rossini, Schwantner, and Beethoven’s Fifth Symphony. The schedule for next spring offers Young People’s Concerts, Symphonic Pops, Teelin Irish Dance Company, and Mahler’s Resurrection Symphony. Now in its fourth decade, the orchestra strives to offer not only classical masterworks but also works by contemporary composers as well. It continues the biannual American Composer Competition, the Young Artist Competition, as well as free chamber music concerts featuring members of the orchestra, while offering pre-concert discussions as well. This family-friendly venue is also used by other area groups for their performances as well, offering an even broader range of arts, entertainment, educational and civic events throughout the year. Be sure to keep an eye on the orchestra’s season overview as well as the theater’s calendar this fall so you won’t miss any of the great events!